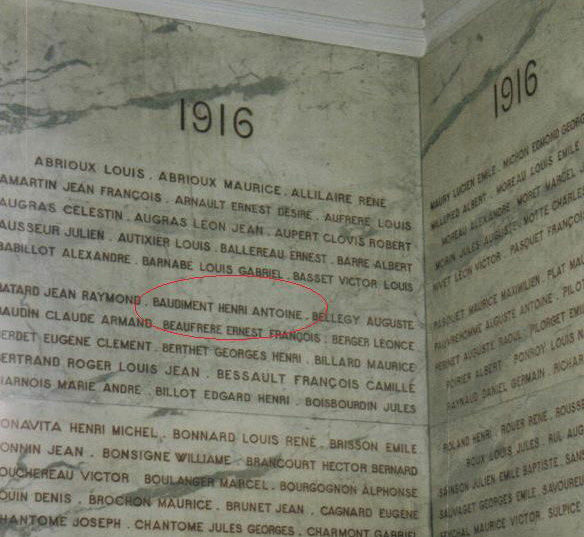 The Women, in the family, had survived these eight deadly years. They were lonely, from now on. Survivors, indeed, but for ever wounded. 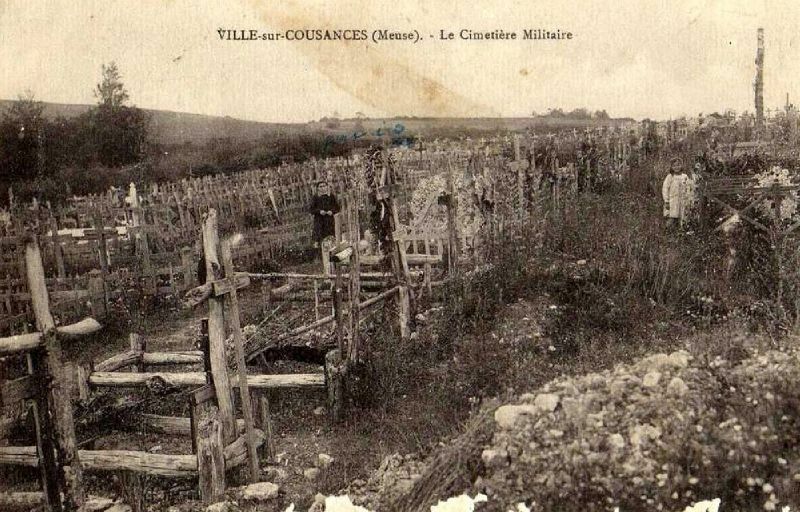 So heavy that they would have to share them, now, with the oncoming generations. Church Tower in Mont-Saint Eloi, Artois: photographed in February 1916 by Henri Baudiment, then in April 2006 by Louis Cazaubon. 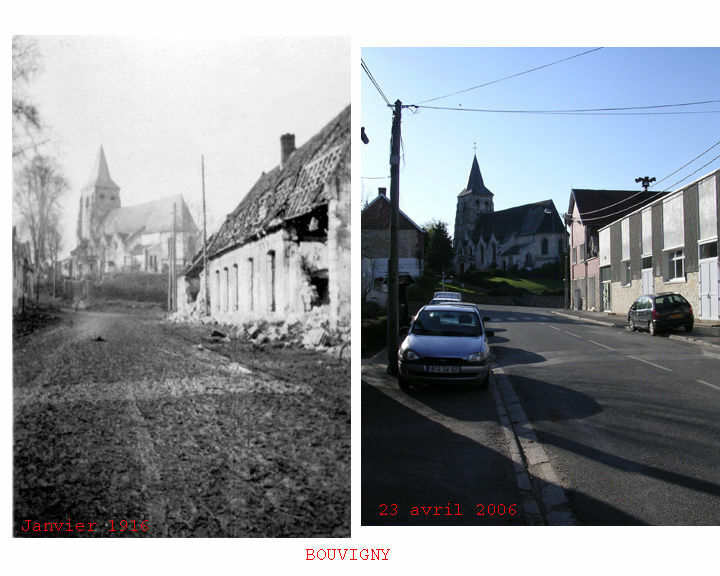 Church in Bouvigny, Artois: photographed in January 1916 by Henri Baudiment, then in April 2006 by Louis Cazaubon. 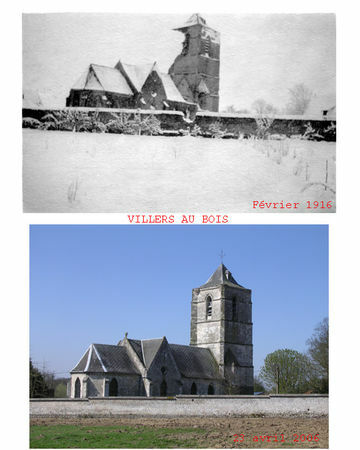 Church in Villers au Bois, Artois: photographed in February 1916 by Henri Baudiment, then in April 2006 by Louis Cazaubon. 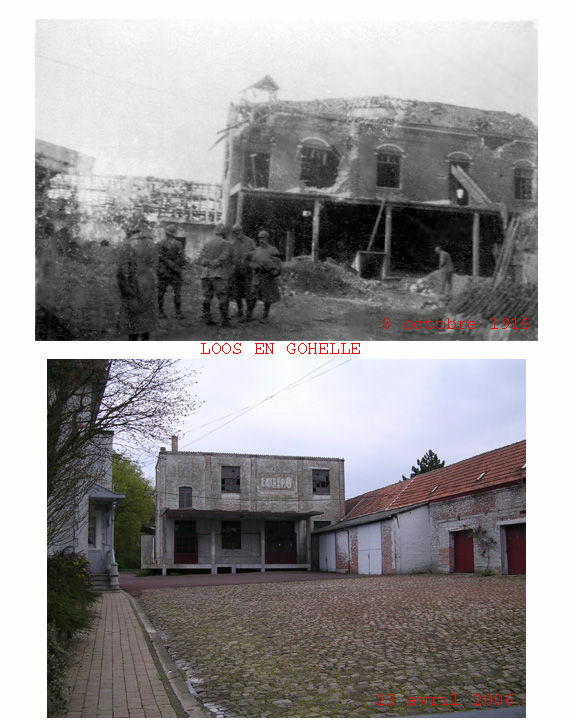 The Haÿ brewery plant in Loos-en-Gohelle, Artois: photographed in October 1915 by Henri Baudiment, then in April 2006 by Louis Cazaubon. 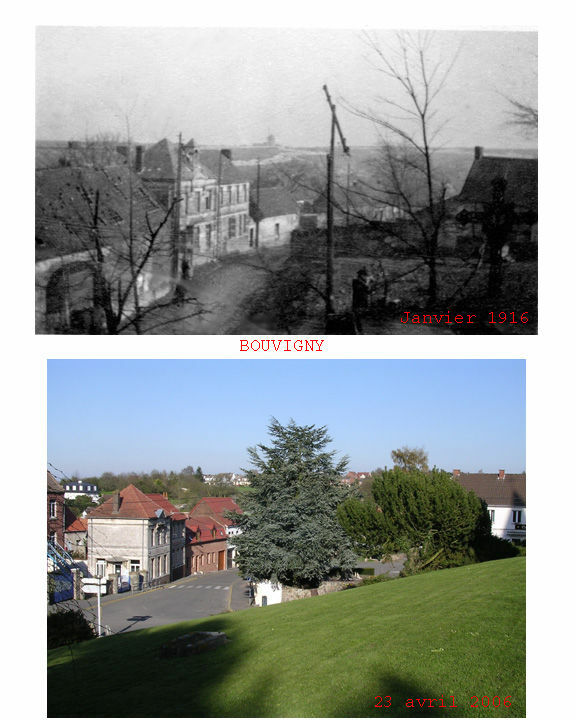 City Hall in Bouvigny, Artois: photographed in January 1916 by Henri Baudiment, then in April 2006 by Louis Cazaubon. Châteauroux - 1999: The marbles of the official staircase, in the former City Hall - Photography: Louis Cazaubon. 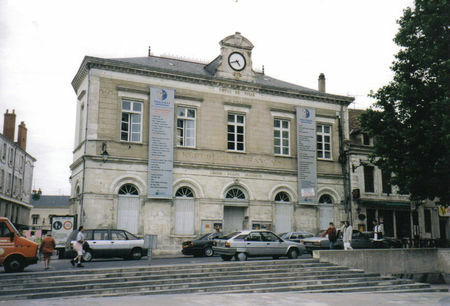 Châteauroux - 1999: The former City Hall, now operated as a Municipal School of Music - Photography: Louis Cazaubon. 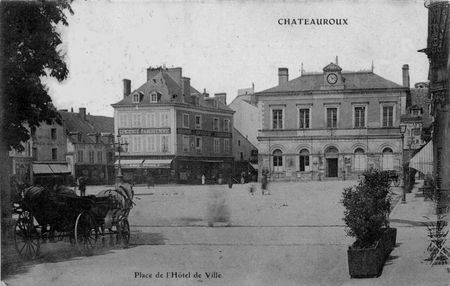 Châteauroux, postcard, beginning of the 20th Century: the City Hall. ... the Memory remains intact and accurate, not within the details, but through the Key Message, as it was delivered to us by these beloved Ladies who had mourned without seeing, and who, then, have gone, in their turn, without really understanding. 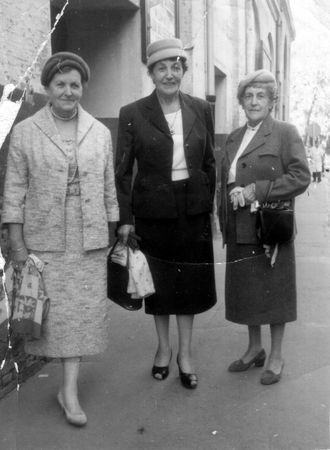 Family photography, in Algiers, by 1960 - From Left to Right: Charlotte, Augustine, Euphrasie. 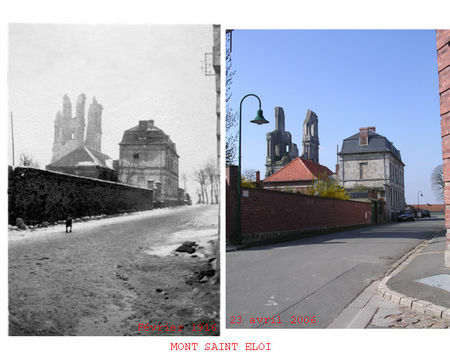 In fact, to elaborate, then to transmit the Memory, do we really need to make sure that we can see and understand on our own? 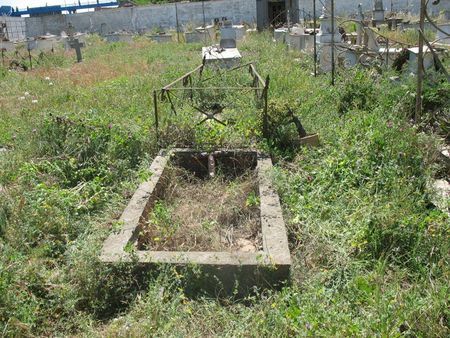 For Angèle, who had made the clear decision to settle, then to die in Algeria, the native country of her husband, was the price to pay, to rest under this abandoned grave in a waste cemetery? Hussein Dey, on the 28th May 2007: the current status of Angèle Baudiment's grave - Photography kindly transmitted by Mr Rashid Hadrou.